Welcome to the ListenLive Internet Radio and TV Database. Listen live to your favorite radio station or watch your favorite TV channel! We have the largest database on the Internet with links to stations from all over the world. Search our database, browse through region or genre, tune and listen to or watch stations, add new and manage existing stations and maintain your personal favorites. Our database is also a front-end to owners of the stand-alone radio players that originate from Taiwanese Penbex as a replacement service for the WorldStation portal and Chinese SkyTC as a replacement for the iRadio portal. Our database also is also available as a front end to the owners of a Turtle Beach AudioTron Internet radio player as a replacement of TurtleRadio and to users of GB-PVR. Enjoy! Our goal is to support and improve stand alone Internet Radio devices that either are discontinued, end-of-life or simply have been abandoned or that have poor support. For some models we do this through the original firmware, for some other models we have made modified firmware which is based on the original firmware and for another group of devices we have created a completely new firmware largly improving the capabilities of the device. The Listenlive database is with over 50.000 records one of the largest databases of its kind and is maintained by us, by broadcasters and for a large part by you, the users. If you like to become a moderator taking care of one or more sections feel free to send a mail. ﻿2019/01/25: Server change Due to some server side changes the server might be difficult to reach around the 31st of January. We do our best to minimise disruptions. 2018/02/28: Updated station list for Audiotron owners A new station list with 1000 verified stations for the Audiotrons has been put online. Your Audiotron will use this list if you did not select any favorites of your own. Or when you use a device name that is unknown to our server. Note that ALL stations have been tested and verified to actually work on the Audiotron! Special thanks to Hiran for doing a lot of work on maintaining this list and for making it available to all other Audiotron owners! 2015/07/23: Penbex radios no long need modified firmware Since the Penbex company went bankrupt, Internet radios manufactured by Taiwanese company "Penbex" were not able to get station lists anymore. We offered an alternative but it required installation of modified firmware and we were not able to make firmware for all models. The installation of special firmware is NO LONGER needed!!! All radios are now be able to pick up our database automatically with the original firmware. To get this working, I purchased the original Taiwanese Penbex domain. Obviously this was not free and keeping the domain active is also not free. If you like this service you might want to consider making a small donation..!! 2014/10/15: SkyTC iRadio database server dead! Since some days, the Chinese server that powers the SkyTC Internet radio's (Like Arnova, Envivo, Xoro, VDuck, Fulljoin, Disgo, Otek, Foxman, Wiwa, Xenta, VistaQuest and others) is dead. All SkyTC devices that run the original firmware will not be able to "call home" and thus can not collect any information about Internet stations anymore. As a result, the device is in this state pretty much useless and will only play local music files. This is not due to some error. It was simply decided by the Chinese SkyTC firm that the devices are out of warranty and do not need to be supported anymore. Very bad practice! You can upgrade to our Listenlive firmware and use the device with our database as well as a dozen other databases from reliable parties like TuneIn, Live365, Shoutcast, SoundCloud, Laut.FM and more. Before you upgrade your device, be sure to read the forum and post there first in case you have any questions. Lately I get a lot of questions about dead Arnova's and firmware updating. Did you know there is a manual for the Listenlive firmware? It can be found in the Listenlive firmware download section. It descibes most of the features and it should give you an idea about what you can do with it and how to get going. The manual is only available in English. The file is in PDF format thus you will need a PDF reader to open it. If you want to contribute to this project you can find more information on the Donate page. If you own an Internet radio device which you feel could work better then it does with the original firmware then the first thing to do is check if we already support your device. Right now we support a large number of devices that are mainly manufactured by Penbex (WorldStation), SkyTC (iRadio168). 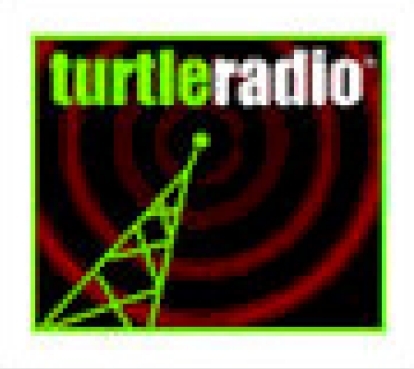 We also support the Turtlebeach Audiotron with a TurtleRadio replacement. DMTech, Watson, ctiradio, Joybien, eradio, KW-1004, HipShing, Goodmans, Proline, Neon, Clas Ohlson, Orchard, Yusan, Zylux, Logik, Sabre, MPMan, Uptoday, LA302, Olympia, Centrios, Amitech, Odys, Forworld2, Boom, VEGA, Pbirkit, IRM8001, Lafayette, DNT IPMicro, Akira, SL-D960, GP-60X, PBXBoom2-SI, Pbirkit2, Konig HAV-20/21/22, Kenwin, etc. A good indicator that shows you have a Penbex manufactured device is that it uses the "WorldStation" portal. 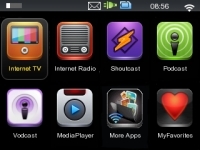 Note that for the Penbex based devices we have released various modified firmwares that you can load on your radio. If you own one of these devices than all sections related to Penbex are for you! Mediabox 135, Arnova WebRadio & TV, Xoro HMT350 HMT370, LinePro, Pearl Auvisio IPTV2335 (PX-8595), Wiwa eRTV208, Otek IPTV510, Envivo PO1119 PO1171 PO1235, Disgo TVGo, Vista Quest, Xenta KMP510, Foxman, Apex, Cayenne, Roxcore, Aigo, Lookeetv etc. Note that for the SkyTC based devices we have released the ListenLive firmware which is our in house development. The Listenlive firmware replaces the original firmware and offers many additional features. If you own one of these devices than all sections related to SkyTC and ListenLive firmware are for you! If you are manufacturer, distributor or reseller of a device that is not yet supported you can contact us for the neccesary arrangements. We also have options for dedicated support forums.